Breanna Soligny is a personal trainer, fitness model, and horse riding instructor from Maple Grove, Minnesota. She’s a popular personality on social media, where she uploads pictures and videos showcasing her fitness lifestyle. There’s a growing number of fans who support Breanna on her journey. Working daily with her clients and training partners in the gym, Breanna keeps on helping others and doesn’t plan on slowing down. Breanna wants to use her own lifestyle as an example of what’s possible when you set your goals high and act on them. 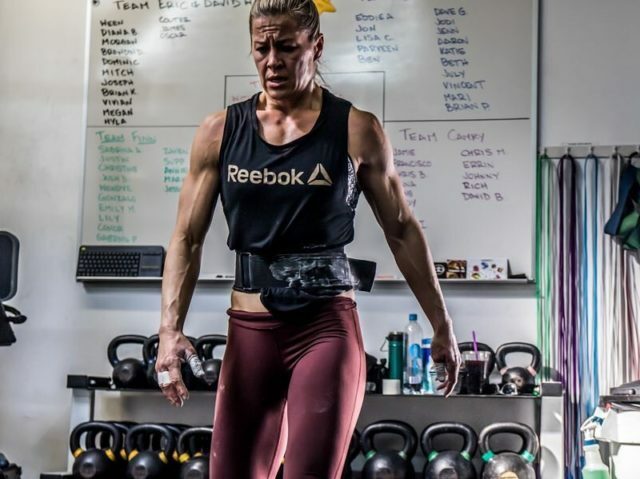 Breanna’s training regimen consists of cardio, weightlifting, and occasionally, mobility work. She typically starts her workouts with 10-15 minutes of cardio, followed by an hour-long weightlifting session. After she’s done lifting weights, Breanna will either stretch or do 20 minutes of cardio. Her favorite types of cardio are HIIT and battle rope. Breanna will usually train like this five times per week. Afterwards, she’ll take two days off to let her body recover. In regards to Breanna’s leg workouts, they are usually focused on isolation movements. The only compound exercise she does for her legs and glutes are squats. Other exercises that Breanna enjoys doing are barbell hip thrusts for glutes, glute bridges, cable kickbacks, ab rollouts, and leg extensions. While Breanna tries to eat as healthy as possible, she is aware that it’s difficult to maintain a perfect diet all year-round. For this reason, she enjoys a cheat meal or two every now and again. This not only helps her to stay motivated in order to reach her goals, it also allows her to replenish any nutrients lost through her intense workouts. As for supplements, Breanna only takes a whey protein powder and multivitamin. We could all learn a thing or two from Breanna Soligny’s approach to dieting. She eats clean, but also allows herself to indulge in a cheat meal when her body wants it. If you can bring the same balance to your life, then reaching your goals will become a much easier task. SuperSexy…she looks like a 20yr old, Kelly LeBrock with more muscle and CURVES (remember Weird Science??) HOT!